Career games with at least five RBIs for Colorado’s Todd Helton. Consecutive home runs with runners on base for Boston’s Jason Bay. Career saves over Baltimore for Yankees closer Mariano Rivera, his most against any team. 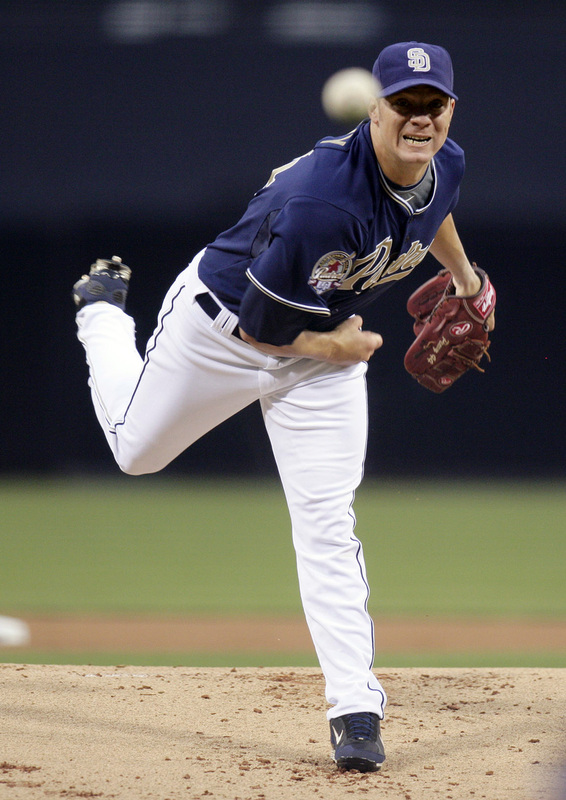 The Padres and White Sox had reached an agreement, but needed the 2007 National League Cy Young Award winner to waive his no-trade clause. “As of right now, this is the best place for us to be. We made that decision for the time being,” Peavy said before Thursday night’s game against San Francisco. The 50-game suspension of Manny Ramirez proves that baseball’s drug policy is working, Commissioner Bud Selig said. “No one is above the law,” Selig said at a news conference after the owners’ meetings in New York. Selig, commenting on the issue for the first time since Ramirez was suspended two weeks ago, said baseball had administered more than 1,000 drug tests this season. “We’ve had one positive,” he said. “What the Manny Ramirez situation proved is that no one can miss. When Tony Gwynn Jr. got the call that he was coming home to San Diego, it came from Mr. Padre himself. Tony Gwynn, who spent his entire 20-year Hall of Fame career in San Diego, broke the news to his son that the Padres were acquiring him in a trade with the Milwaukee Brewers. “Dad’s thrilled,” the senior Gwynn told the Associated Press by phone from Fort Worth, Texas, where he’s coaching the San Diego State Aztecs in the Mountain West Conference baseball tournament. Gwynn Jr., an outfielder, was obtained for outfielder Jody Gerut. Right-hander Edinson Volquez went on the 15-day disabled list with a sore back, the first time that Cincinnati has lost a starting pitcher to injury this season.